Author and local Drew Rouse is originally from Annapolis, Maryland but grew up coming to Vail each winter. A regular in Vail and Beaver Creek’s video and photo shoots, he is also part-owner of Grace Skis. Sun Down Bowl – There are several great spots in Sun Down Bowl, particularly from Ptarmigan Ridge to O.S. These east facing areas sit below a ridge that gets loaded with snow as the wind blows from the west. 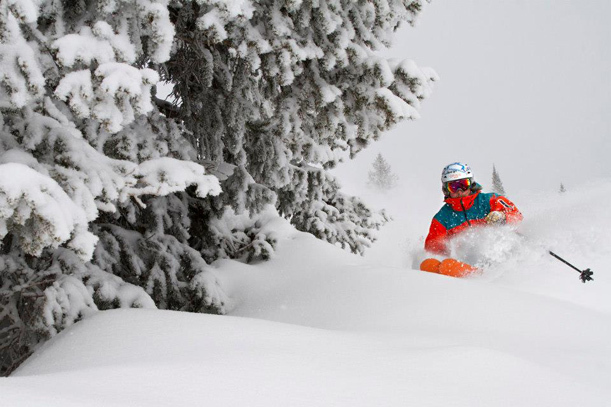 The terrain varies from wide open, fairly steep runs to tight aspens to open glades and even a small cliff band. Siberia Bowl – A go-to bowl on a powder day, there are plenty of great runs but Rasputin’s is a highlight in big snow years. If you’re truly an expert, there are some cliffs to play on. China Bowl – I really like Genghis because of its long and sustained steep terrain. Shangri-la Glade can also be really fun; it’s long and mellow. Sun Up Bowl – Apres Vous is a run many skiers miss because they get tempted to ski down one of the other great runs along Sun Up Bowl’s western ridge before they get there; it’s worth the journey though! With beautiful views of Mt. of the Holy Cross, you have the option of taking a fairly steep chute through the trees or you can dabble in some glade skiing. Mud Slide – This steep run has a mix of pillows and aspen trees. It’s low on the Front Side so it’s best in mid-winter when there’s lots of snow piled up. Other good trails in that area are Pump House, Narrows, Front Side Chutes. 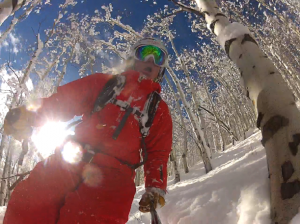 Lindsey’s to Pepi’s Face – These trails are my favorite way to end a powder day. I’ll come back from the Back Bowls and, when the Lindsey’s is groomed, get in a bunch of big turns. If it hasn’t been groomed in a few days it becomes one of my favorite bump runs on the mountain. Pepi’s is your chance to show off or embarrass yourself at the end of your run as you head into Vail Village. Northwoods – North Rim and South Rim are my favorites here. 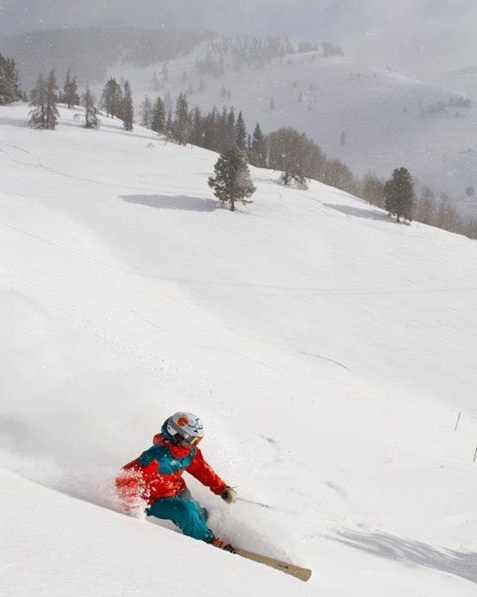 With a mix of pillows, cliffs, moguls and groomed runs, anything you could want to ski is here. It also boasts the steepest run on the mountain: Prima Cornice. Highline – If you can get Highline when it opens for the year, don’t miss it because it’s all just steep powder. After that it’s a great place to go because there’s no crowds plus it features outstanding mogul skiing. Riva Ridge – THE classic Vail trail, it’s really long and gives you great views of the Gore Range and Vail Village. It’s moderately steep, never really gets too bumped up and if you get it freshly groomed, you can make effortless turns all the way to the Village. Steep and Deep – Not surprisingly, it’s steep but there’s also challenging tree skiing that ends in a mellower glade with a bunch of trail options leading back to the lift.